No, Freud was not a seafarer, as the doodle might suggest. Neither does it have anything to do with the iconic couch where help-seekers would pour their heart out to Freud. The doodle stays true to Sigmund Freud's habit of delving into minute details. It is a visual depiction of his most popular iceberg theory and his novel method of curing mental illness through a conversation between a doctor and patient. The Freudian method of interpretation always delved on exploring the meaning, beyond the surface of things. Therefore, doodler Kevin Laughlin portrayed Freud's visage at the interface between the surface and underworld. The art work shows three important parts of an individual's thought process - the conscious, preconscious and the unconscious states. The tip of the iceberg in the doodle shows the conscious mind comprising attention and thoughts, while the hidden base of the iceberg represents the mysterious depths of the unconscious mind. 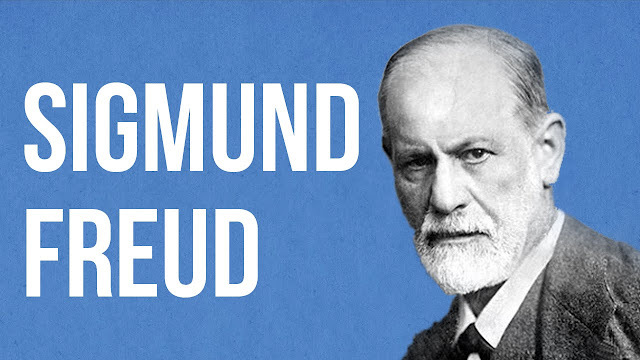 Freud had a profound influence on contemporary culture. We still use the terms he coined back in the day like narcissism, denial, masochism, paranoia, sibling rivalry to state a few. His work spanned everything from mechanisms of consumerism to notions about the self.